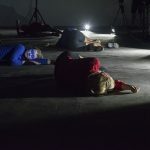 Taking place at twilight to take us from the ‘real’ to the dream world, this one night only performance brings together light and text artist, Elisa Artesero, electronic music producer, Caro C, choreographer, Belinda Grantham, director, Graham Hicks and dancers from the UCEN and The Arden School of Theatre and Dance. 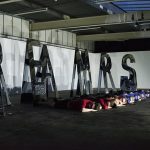 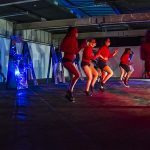 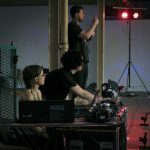 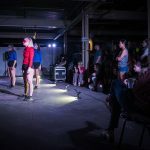 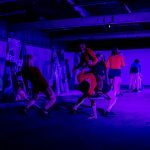 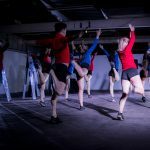 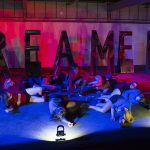 Set around Artesero’s large-scale installation DREAMERS on the industrial setting of artist studios, ArtWork Atelier in Salford, the audience are taken through from sleep into dream, a dance in the liminal space of twilight to the edge of night. 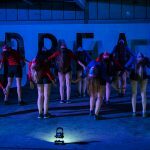 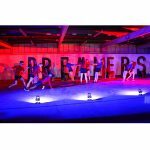 Artesero designed the production to work with the fading twilight in her lighting design (8.45pm main performance), a new musical score composed by Caro C sets the sonic scene to the original choreography by Grantham, Hicks and the talented 10 young dancers.